If the young Lakers don’t want to be included in trade talks, they’ll have to prove their worth. But can Kyle Kuzma and the rest of them do anything to convince they’re worth keeping around long-term? 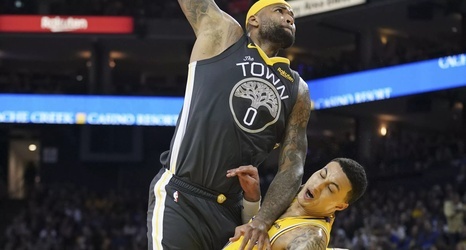 Right now, stories about the Los Angeles Lakers either have to do with injuries, Magic Johnson tampering, the trade deadline and the impact it had on the roster and how the team will try to get past those distractions. At some point, it’d be nice to focus on basketball. During an appearance on “The Official Lakers Podcast,” Kyle Kuzma spoke about the importance of figuring out how to focus on things outside of the above drama, as well as what he and his other young teammates can do to stay out of trade talks.